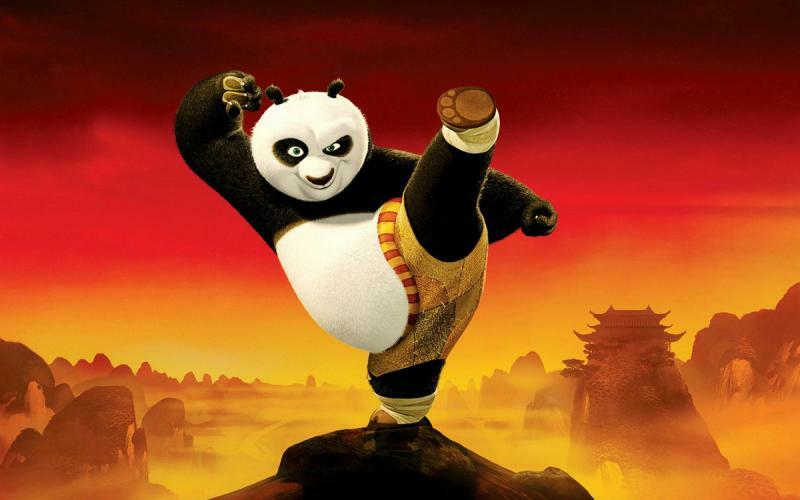 In 10 days, you will experience the most highlights on Chengdu, admire the gorgeous Jiuzhaigou Valley, spectacular Leshan Giant Buddha, Shuzheng and Zezawa Valleys, Pearl Sands, Shuzheng Waterfall, Long Lake, feel the leisure pace of local Chengdu people then taste the spicy Chuan food… Not enough? Put on the working uniform and join 2-day Panda Volunteer Program! This trip will absolutely fun. Arrive at Beijing Airport, you will be met and transferred to your hotel. If time permits, visit Jinli Old Street to see the local people's life. Drive to visit Panda Breeding Center, founded in 1987, it is a non-profit research and breeding facility for giant pandas and other rare animals. After a visit to Wenshu Buddhist Temple, go to Jinsha Site Museum--Large park complex covering 74 acres with big flat and spread-out modern-looking buildings that contains 3,000 years-old artifacts, which was claimed as the first important archaeological find in China at the beginning of 21 century. 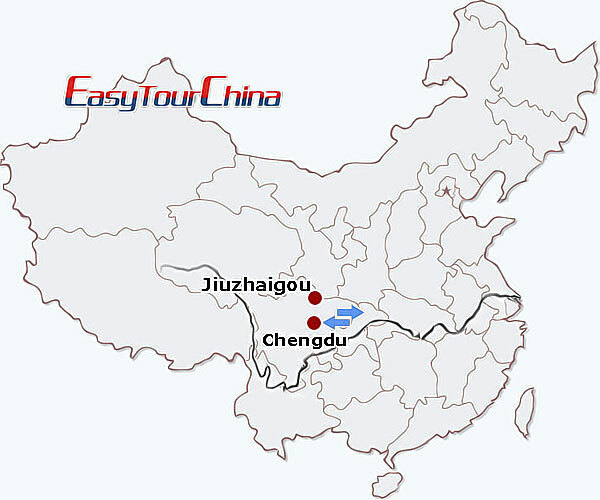 Transfer to take a morning flight (45 minutes) from Chengdu to Jiuzhaigou. 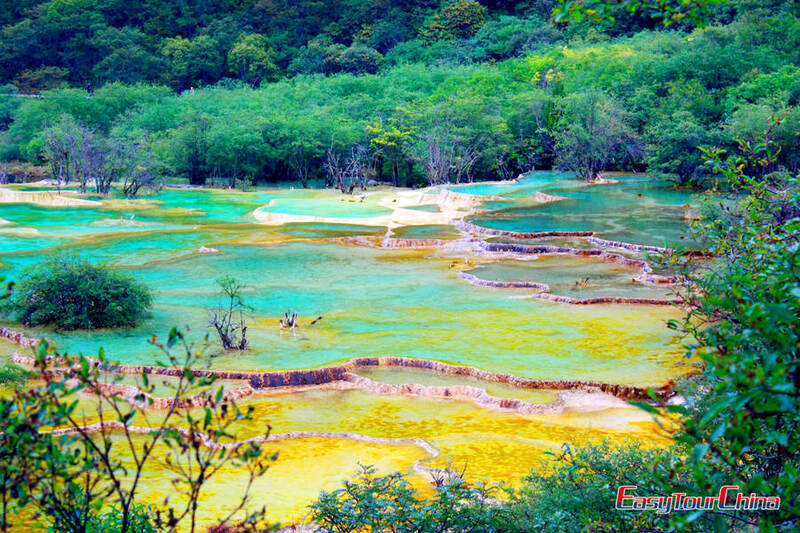 Then visit Huanglong National Park, a UNESCO World Natural Heritage site, with beautiful mountains, lush woods, colorful flowers, and crystal clear waters. Overnight in Jiuzhaigou. 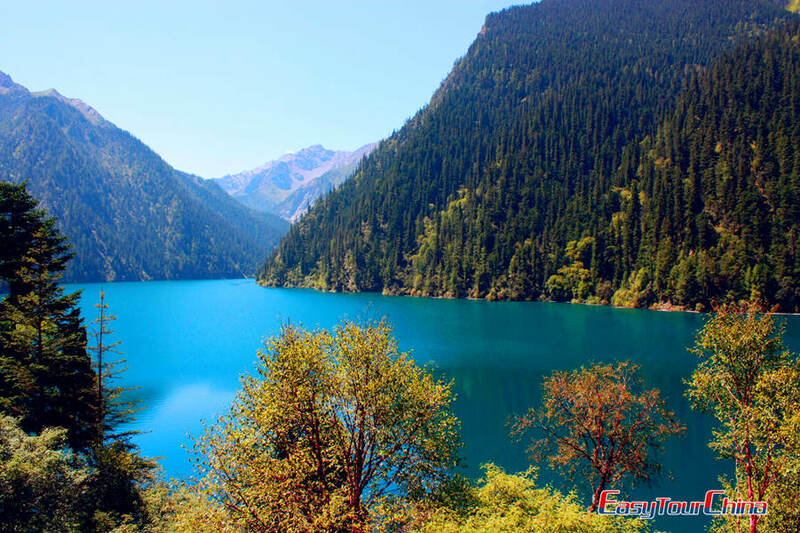 4 Day 4 Visit Jiuzhaigou National Park, Shuzheng and Zezawa Valleys, Pearl Sands, etc. After breakfast, drive to the Jiuzhaigou National Park where you will board eco-friendly buses to visit the Park. Visit the Shuzheng and Zezawa Valleys, Pearl Sands and Shuzheng Waterfall, the Tibetan village of Shuzheng, and numerous picturesque lakes including Panda Lake, Long Lake, Rainbow Lake, Tiger Lake and Rhinoceros Lake. 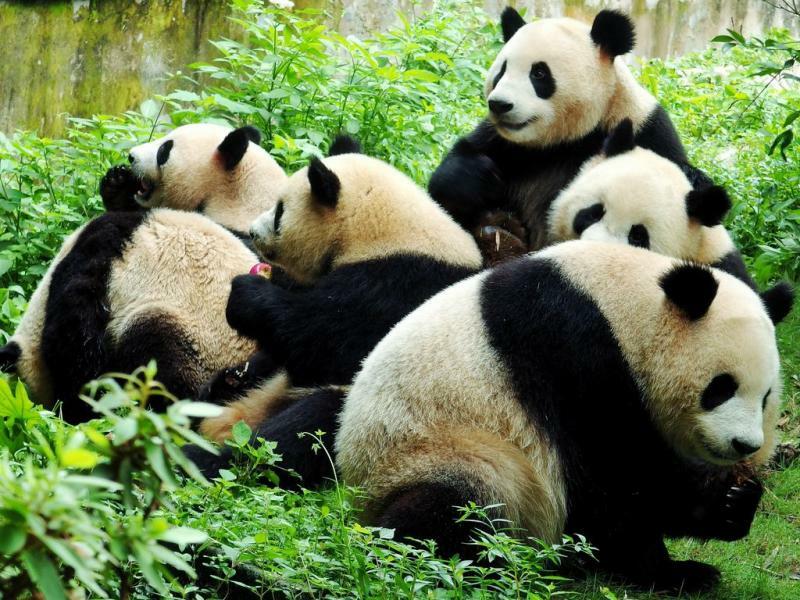 If you want to watch pandas enjoying their natural habitat and getting know more about these adorable creature, then Wolong Panda Research Center is your best choice. It has been rebuilt and is now reopened to the public. 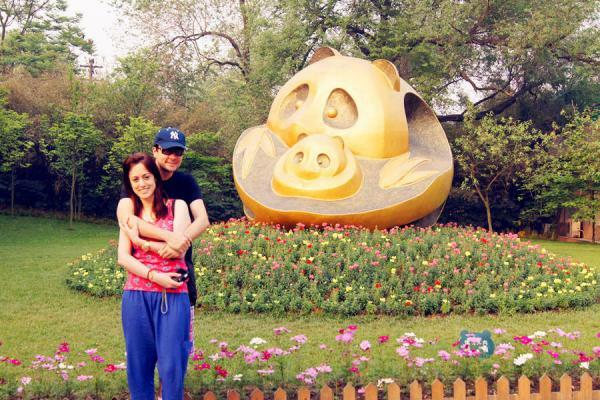 Hike to Dengshenggou and get close to giant pandas daily life is very interesting too. 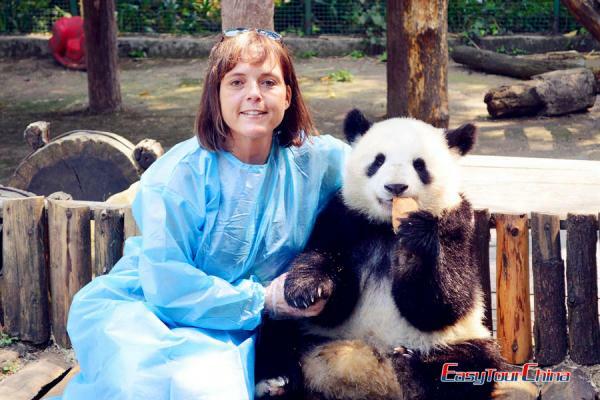 The volunteer program work includes cleaning pandas’ houses, making panda cakes, feeding pandas and so on. 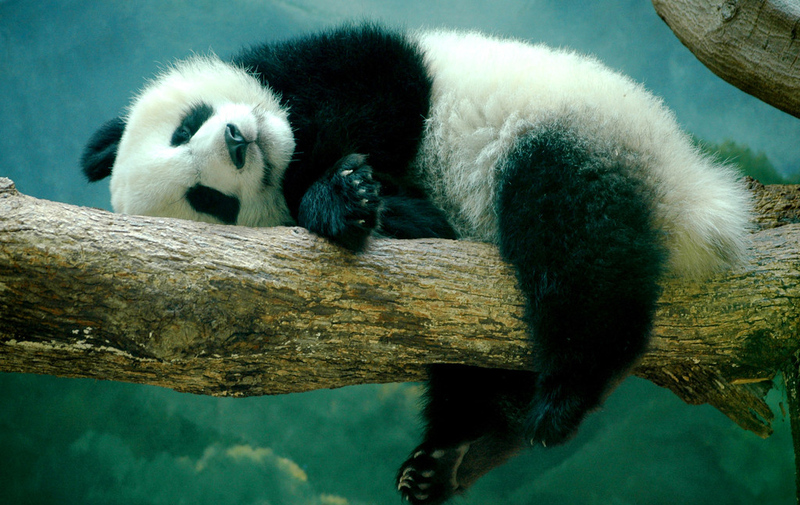 Under guidance from the experience staff, you will learn more about pandas. Transfer to an earthquake relic, which is meaningful for a visit. Then visit the ancient and distinctive village - Taoping Qiang Village. You will see lots of well-reserved architectures in this old village and the reconstruction scenery after the earthquake. Then travel back to Chengdu. 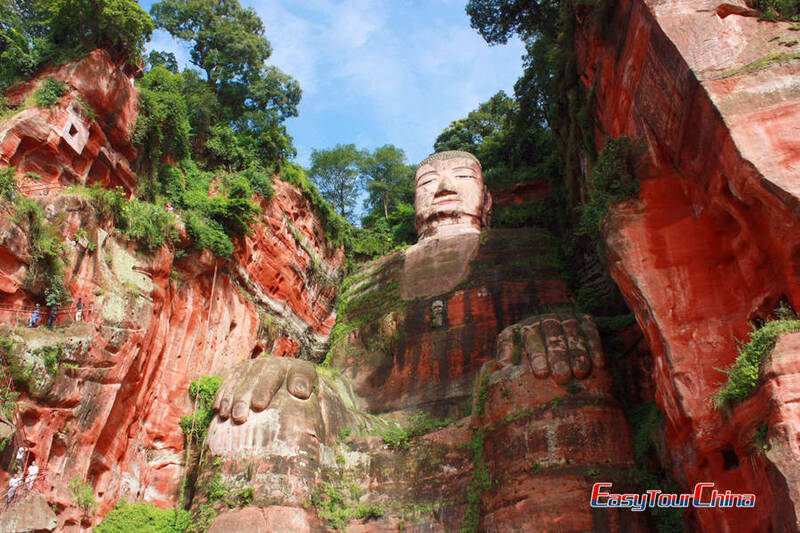 Transfer to Leshan Buddha site, the largest stone-carved Buddha sculpture in the world. The Giant Buddha is about 71 meters high and 24 meters wide. The head is 14.7 meters long and 10 meters wide with total 1021 buns of hair on it, and his toenail can accommodate a seated person. Later, proceed to Mt. Emei. Take a cable car up to Wannian Temple--one of the eight largest temples on this mountain and translated as "Long Life Temple" in English. See the scenic spots nearby and walk down to see the wild monkeys on the way. Drive back to Chengdu.